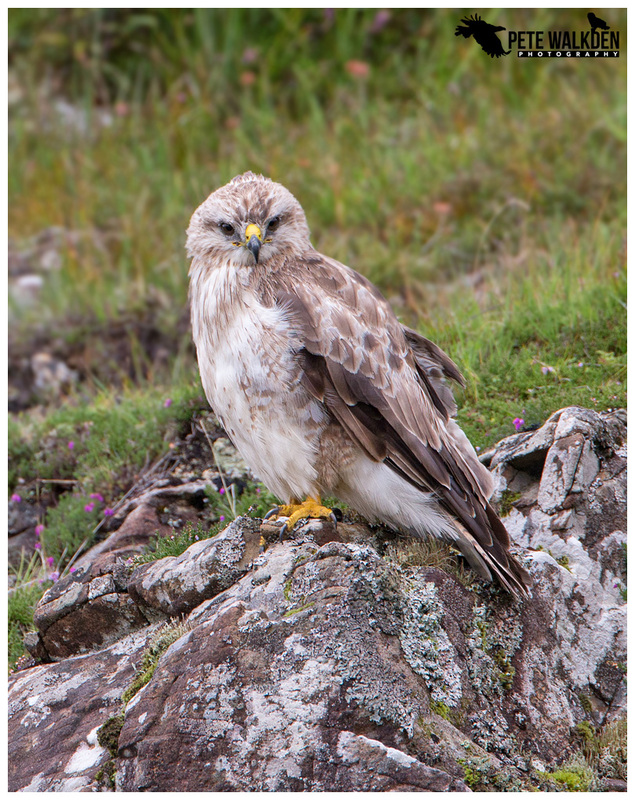 Pete first visited Mull in 2010 and has fallen in love with it, visiting the island at least once a year since. 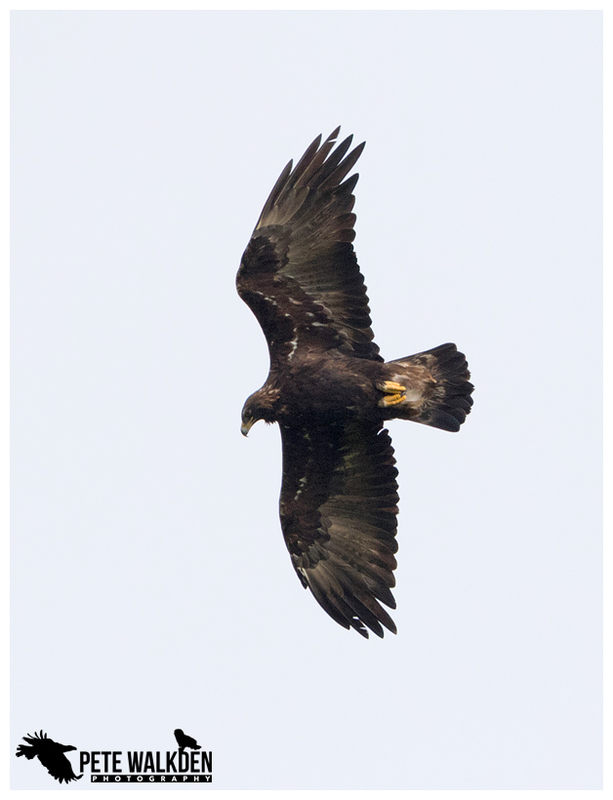 Mull is called Eagle Island and is hence the logical spot for “birds of prey fan” Pete to visit, to enjoy fabulous views of the golden and white-tailed eagles, plus other raptors such as buzzards, peregrine falcons, hen harriers, merlin and short-eared owls. Both Pete and Andy have a great love for the Island of Mull. Andy’s family have owned a home at the north end of the island for over fifty years. 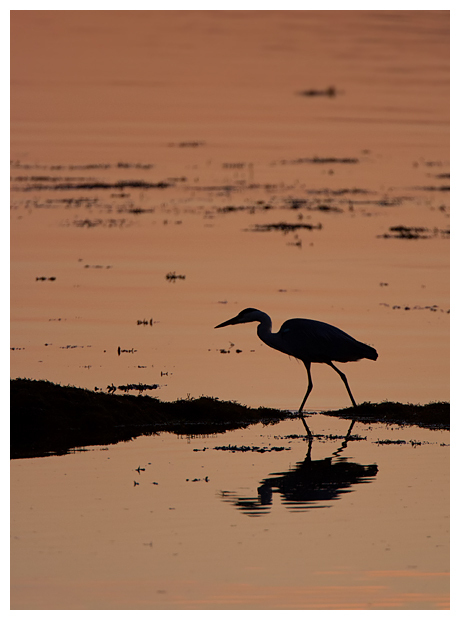 As a young boy Andy spent many family holidays there of which a huge amount of time was spent wildlife watching. 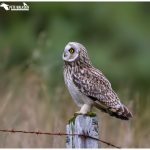 In more recent times Andy’s time spent on the island has been to dedicated to photographing the abundant wildlife found there. 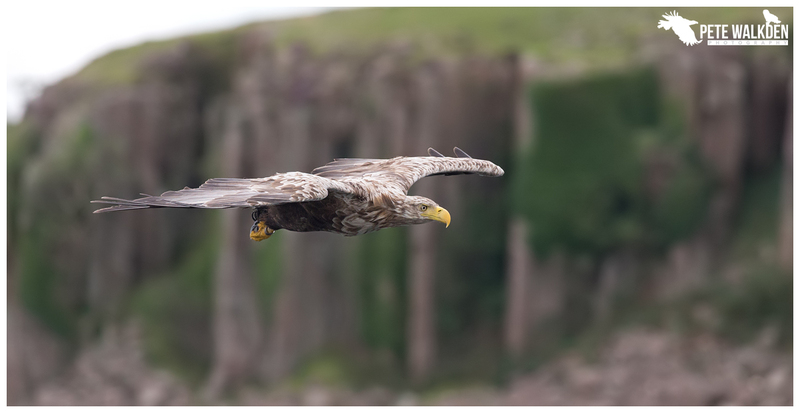 Pete and Andy are delighted to announce their ’Wonders of Mull’ photo tour. The aim of this tour is to offer their clients the benefit of the many combined decades of accrued knowledge, instruction and tuition when and if required will be given freely in an understanding and patient manner. 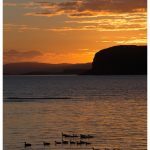 You will be collected from any of the three ferry terminals you choose to arrive at, or greeted at the accommodation if you have your own transport, using instructions provided prior to the tour. 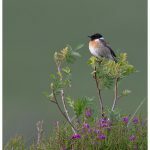 Depending on your arrival time we will pick you up and get straight to the important task of wildlife photography. Pete and Andy will have already been on the island for a week or so recceing locations. 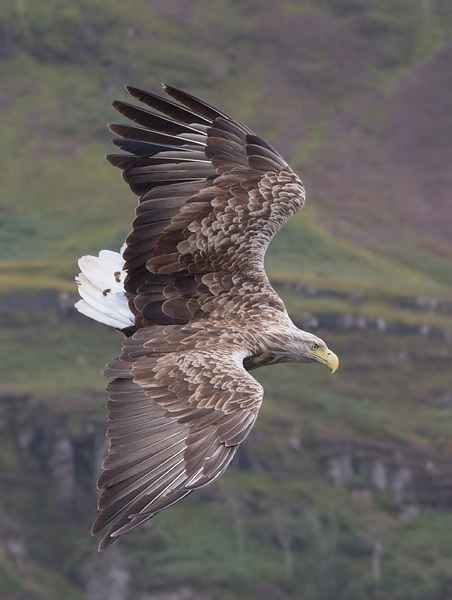 Today we will be taking the first of two trips on what has to be one of the most exhilarating wildlife experiences available on the British Isles. 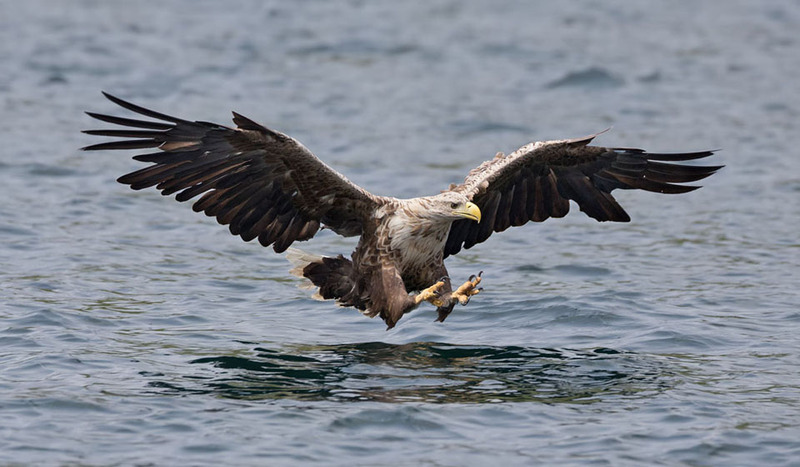 White-tailed sea eagles have a magnificent 8 foot wing span. 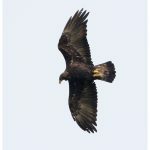 To witness one dropping from the sky to swoop down to grab a fish is an awesome sight, and you might expect such large birds to be slow. In fact nothing can be further from the truth. 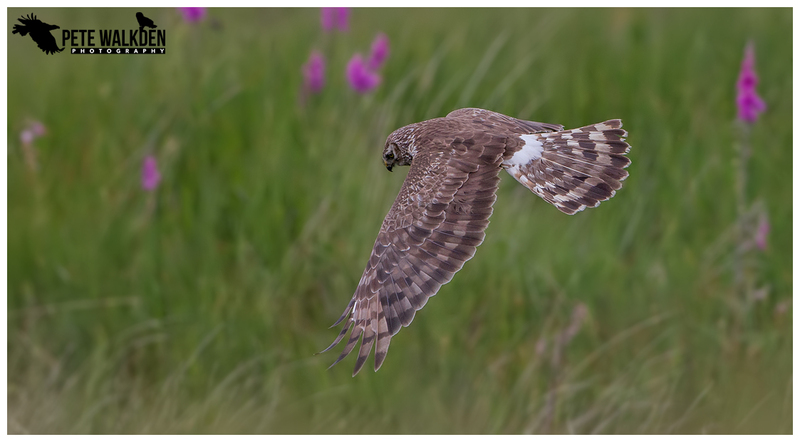 The speed these birds dive is truly astounding; each dive taking no more than a couple of seconds. It is for this reason we have scheduled two trips, the first being a warm up, call it a practice session. Pete and Andy will on hand to offer help and assistance with the optimum camera settings and lens selection. This experience is one you will never forget. The remainder of the day will be spent searching for the beautiful and charismatic otters. To increase the chances of good encounters the group will be split into two parties, one will contain the more experienced photographers in the group, the second will be made up of guests who may need a little bit more tuition and guidance, and during the week Pete and Andy will alternate between groups. Smaller groups will have a much better chance of success than one large party. Both Andy and Pete are accomplished and experienced in otter photography and cherish every moment and opportunity to photograph this endearing and shy creature. Today we will be concentrating one of the UK’s most elusive birds, with only 250 calling males a sighting of a corncrake is a joy to behold. After what seemed to be a terminal decline in the 80’s numbers have slowly recovered and it seems for now that the population has been stabilised. Iona in its own right is a beautiful and tranquil place to visit, with its compact size making it an ideal location for a day visit. 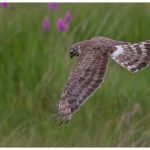 Other species found in this vicinity are Hen Harrier and Irish Mountain Hares. 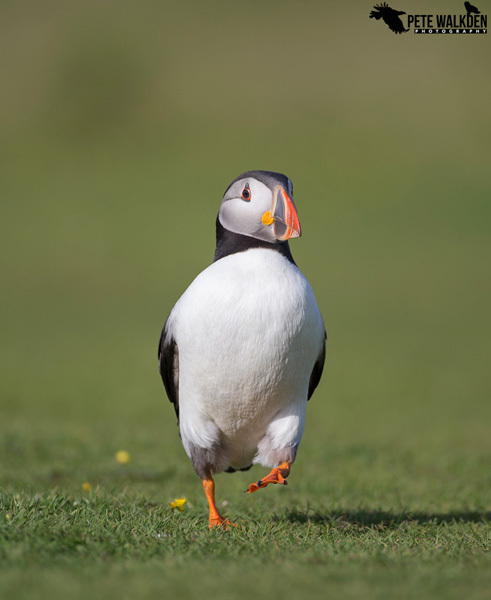 Everybody loves puffins, they are a photographer's dream. 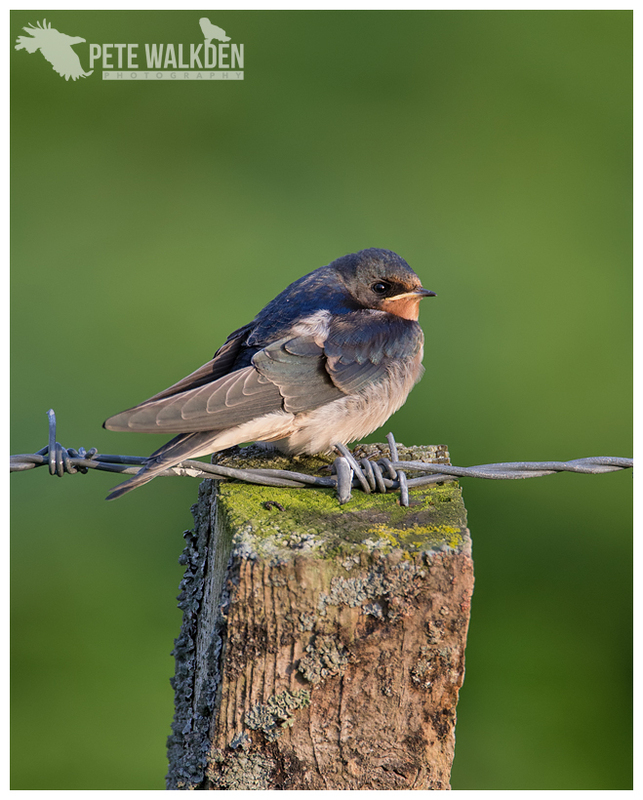 Approachable, colourful and charismatic are a few adjectives that spring to mind when describing these delightful little birds. 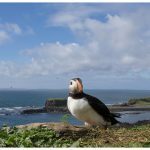 Lunga island has a large colony of puffins and auks. 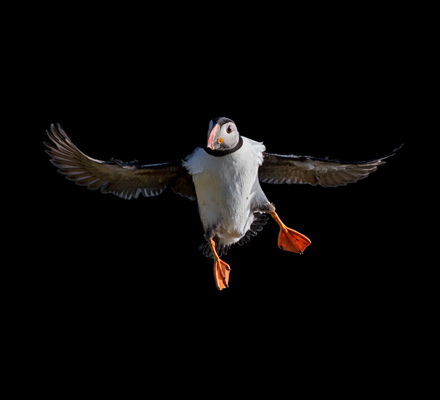 The puffins here have developed the convenient behavioural trait of using the presence of humans as a safety mechanism against predation by gulls, ravens and crows. 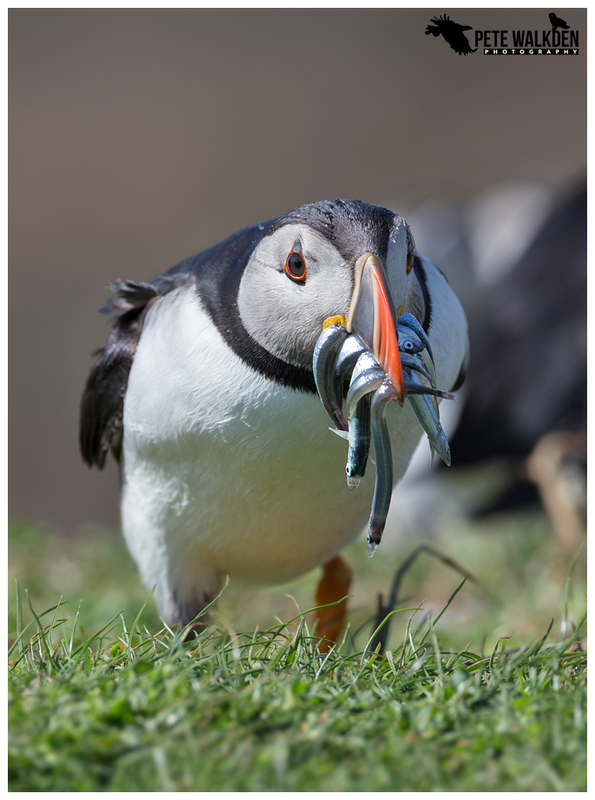 At this time of the year iconic images of puffins with beaks full of sand eels shouldn’t be difficult to capture, and what Pete and I will be encouraging you to do is look beyond the classic images and look for something a little bit different. 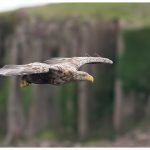 Today we will take our second trip to photograph the magnificent sea eagles, after your ‘training’ on the previous trip you will be ready and prepared for the sheer speed and agility of the eagles. The remainder of the day will be spent in search of otters, and by now you should be experts at spotting them. Your otter field-craft will be top notch and you will be primed and ready. It's now up to the otters to whether they allow us into their secretive world; fingers crossed we have some close encounters! As mentioned earlier to minimise our impact on the otters and increase our photographic opportunities we will again be splitting up into two small groups, and mobile phone reception permitting Andy & Pete will share information to where otters are seen. 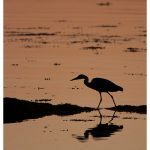 Otters are sensitive and shy creatures, and our aim is to teach you how to make an approach, how to predict where the best photographic opportunities are and to do so without disturbing the otters. Equally as important is knowing when not to proceed, for example if we find a mother with cubs our approach will be far slower, that is if Pete or Andy decide its diligent to do so. The otters' welfare will always be our primary concern. With heavy hearts today is departure day. We will deliver you the ferry terminal of your choice and bid you a fond farewell. This itinerary is for guidance only. 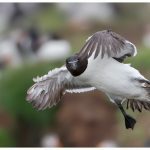 We may swap around the days to maximise the photographic opportunities for the weather conditions, in the case of any of the boat trips being cancelled we will substitute that activity with another species. Accommodation in a comfortable and recently refurbished farmhouse. 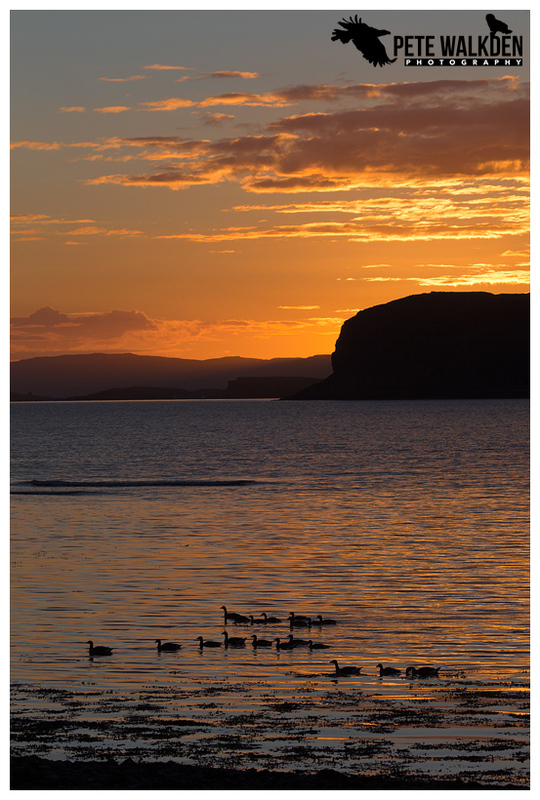 Located just 2 miles from Loch Na Keal. All boat trips and the ferry to Iona. All guiding and tuition - patient and courteous help and advice when and where it’s required. Breakfast, Lunch, Dinner, Soft drinks and snacks. 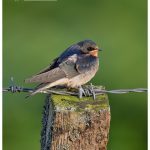 Photographing wildlife should be an enjoyable experience. Although we’re serious about helping to obtain the best possible images, this will be done in a fun and relaxed way. Minimum 300mm lens on full frame DSLR. A non-refundable deposit of £350 will be required at the time of booking. The Balance will be due six weeks before the first day of the tour. 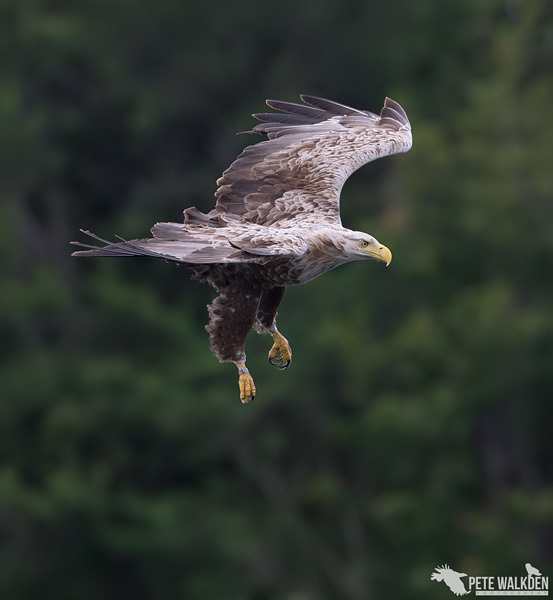 Thank you for all you help on my recent photo trip on Mull. What a week it was - filled every day (plus) with wildlife and fantastic photo opportunities, due to both of you using your local knowledge and skill – to know where to go but also to get us close enough for some brilliant photo shots. So what was my “day to remember”? 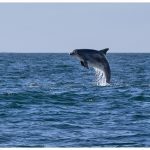 Really every day – puffins- otters + cub - White-tailed eagle – golden eagle - short eared owl - hen harriers - and not forgetting the pod of dolphins. All were great to see and photograph. But the time we all spent with the otter and cub, playing, fishing and grooming was the most memorable. Seeing how excited Pete was, (it my first time with and Mum and cub) I realised just how lucky we were to witness it all happening. (Only took about 300 photos). Lastly thank you both for your help with settings for the different shots etc. and all the other advice you both gave to me. Also the cottage, breakfasts, packed lunches, “evening” meals and lastly ice creams etc. were perfect. I think we were all well looked after. P.S. 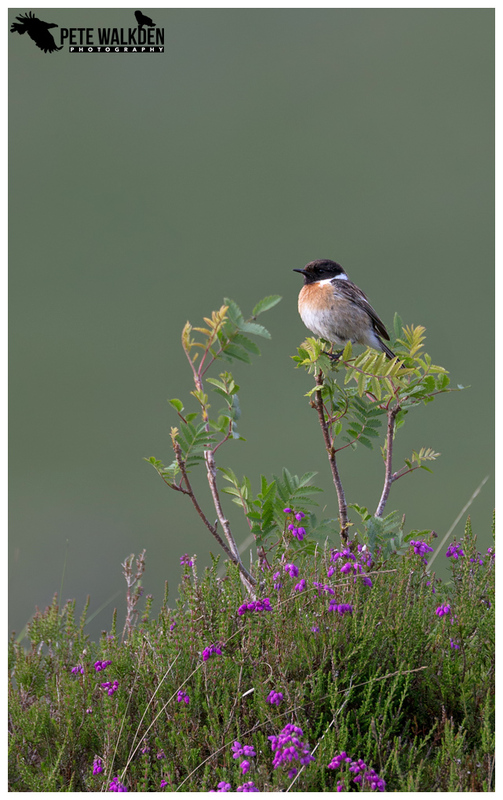 At the start of the week I wondered how I would get on with Pete but soon realised that he was just as quiet as me and that he just excited to be on Mull and to see the wildlife. For a “Brommie” he was “fine!" 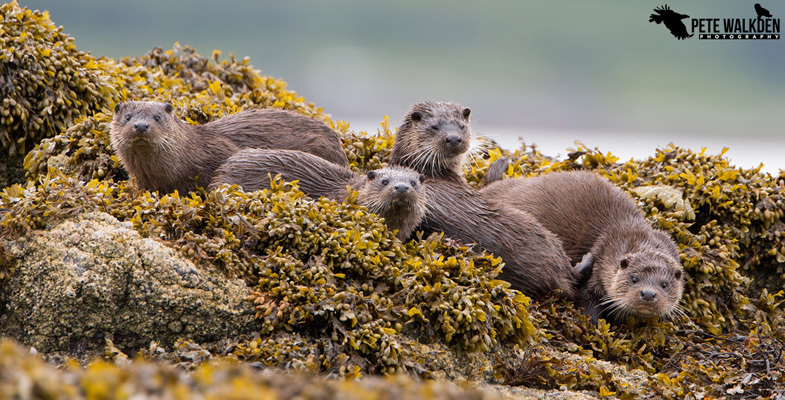 Ever since catching the wildlife photography bug, I've wanted to photograph wild otters, and knew that Mull or Shetland were my best bets for the UK. 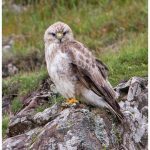 I'd gotten to know Andy Howard via his amazing mountain hare photography and seeing he was running a trip to Mull, I jumped at the chance to get on board. To summarise such an incredible week in a few sentences is all but impossible. 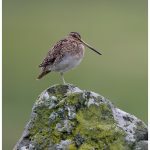 Andy and Pete were the perfect hosts - taking care of everything from the fantastic accommodation, food, transport, photography advice and help, all on top of being expert wildlife guides and all done with professionalism, friendliness, good humour and plenty of sweets! Multiple otter encounters, some closer than I could barely believe, more puffins than you can shake a long lens at and eagles (white-tailed and, yes, Golden! 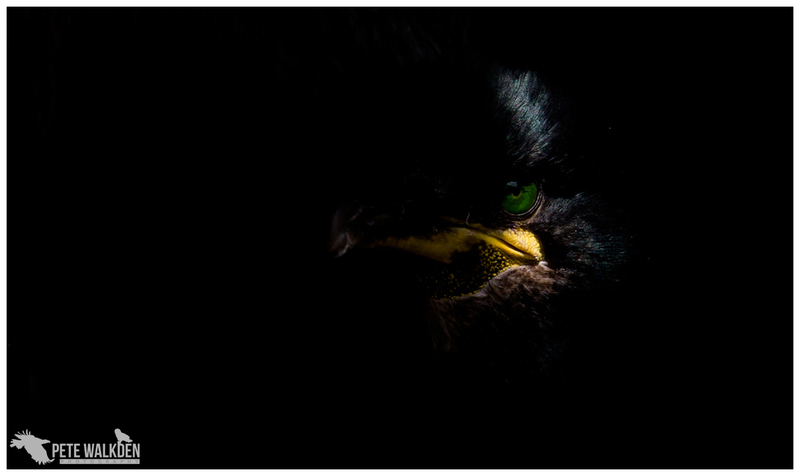 ), owls, and other birdlife made for a perfect week. I'm looking forward to booking my next trip with Andy! 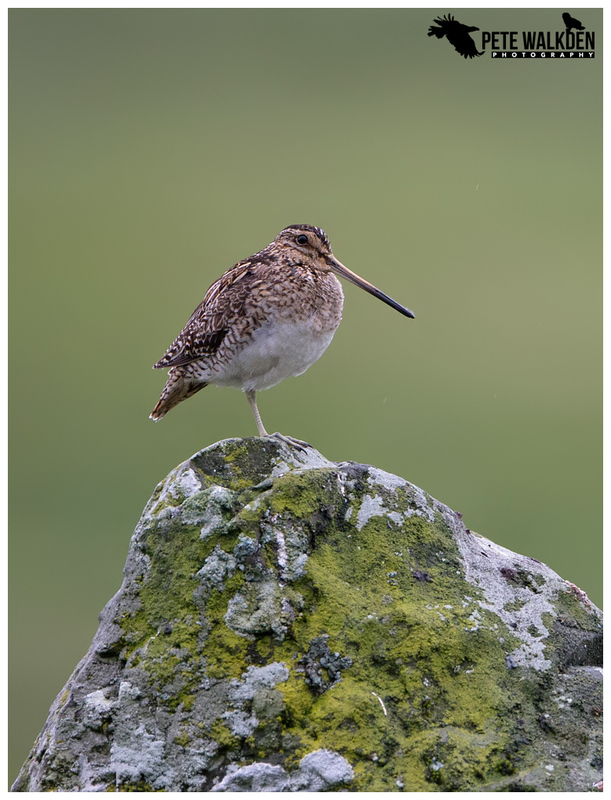 I have just returned from a week on Mull with Andy Howard and Pete Walkden on their photo tour - it was absolutely brilliant! The accommodation was lovely, with great home-cooked food from Andy’s wife Lyndsey. We weren’t tied to mealtimes, so we could follow the wildlife without any time pressures. 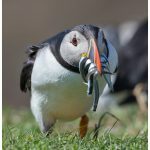 Andy and Pete’s expert knowledge enabled us to spot the wildlife and get close enough to take decent photographs; it was a joy to see otters playing together, eagles swooping, dolphins jumping and puffins waddling right at your feet. Andy and Pete were professional, patient and kind. What I hadn’t expected was their charm and humour - they are a great double act and their wit kept me laughing all week! The other guests were lovely too, and I intend to keep in touch with my new friends.